After years of neglect and deterioration, our long-time friend and past mayor of San Antonio, Phil Hardberger, asked us to help him restore this old 1800's stone house within the Voelcker Homestead, now called the Heritage Homestead, within the popular Hardberger Park. The long vacant structure's new purpose is now the new headquarters for the Hardberger Park Conservancy. The structure received new siding, roof, windows & doors, mechanical and electrical systems. The interior was brought down to the studs and rebuilt using the original building's configuration, highlighted by beautiful reclaimed stained wood floors and smooth plaster walls. 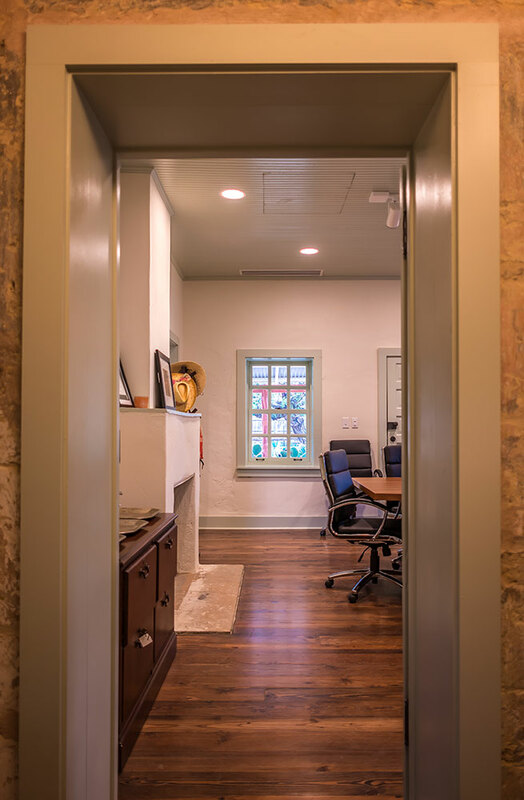 As one of four remaining structures of the original homestead, the Conservancy hopes to restore the entire property as a place for learning about San Antonio's agrarian heritage.